wow Just look at the picture. He definately thinks he's a one man show. And I think the one-man mentality is why he can't stand coming off of the bench. 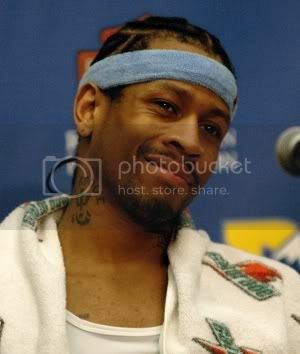 Iverson WAS a great player. He's a good player now. He doesn't have the elusive NBA championship ring, and if he wants to get one, he's going to have to learn to be a role player.